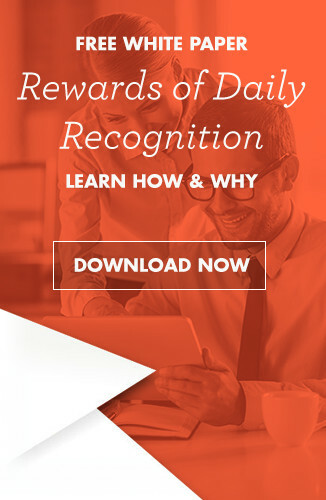 If you have set up some type of recognition program at your company, you’re probably always on the lookout for new gift and award ideas. Finding the right gift can be a daunting challenge, which is why we’re constantly expanding our product line. In this piece, we’ll showcase just a few of the new items we’ve added for the month of April. Check these out! Totes of any kind make great, versatile and practical gifts and this one is no exception. You can order yours in a variety of colors and emblazoned with a variety of messages. This one in particular features the message “Together we can” but if you’d rather create your own custom message or include your company’s logo, you can do that too. It’s generously sized and comes with a zippered front pocket and a braided drawstring cinch to keep its contents secure. A simple, inexpensive gift that’s both stylish and fun. A small, metallic ball that looks great on any desk. Inside, you’ll find vanilla lip balm to keep your lips moisturized, all day long. Over the course of a busy work day, most employees have drinks at their desks. Unfortunately, many cups leave condensation rings which can create an unsightly mess. These attractive stone coasters are the perfect solution for that. In addition to being a superb way to control the moisture problem, they also feature a variety of motivational images, drawn from our motivational poster collection. A great gift and sure to be appreciated! Another stylish and attractive tote, this one is a big larger and more versatile than the one we mentioned previously, but its styling caters to a different type of employee. This one is ideal for holding food, snacks and other supplies. Its large main compartment has more than enough room to accommodate a full meal and the side pocket is roomy enough to hold a pair of bottled drinks. Even better, the strap can be length adjusted, and the duffle has two zippered compartments on the front that can hold smaller items. This duffle comes in a variety of colors and can be emblazoned with your choice of motivational phrases, so if you want some other message, that’s easy to arrange. As we mentioned previously, you can even create your own custom message if that’s your preference. This is a beautiful, practical gift that’s sure to improve the aesthetic of any desk. If you’d rather have some other image, you can choose from a variety of them, but the cherry blossom picture is soothing and delightful. This is a wonderful gift and a precision timepiece too! If none of the products above are exactly what you’re looking for, not to worry. We’ve got hundreds of others to choose from. 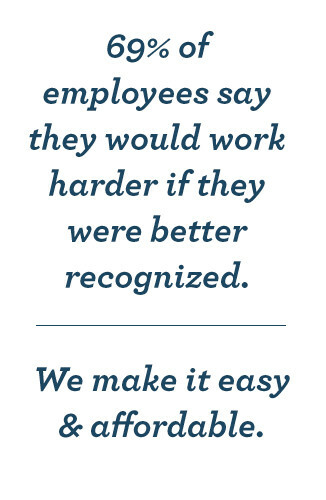 Just spend some time browsing our extensive collection and you’re sure to find the perfect way to recognize your hard working employees.